Hello everyone!! I’m here today with CS Take It Make It Design Team for our November Challenge!! This month’s theme is Christmas Images using Non Christmas Stamps!! This was a really fun technique. I had to really shop my stash to see what stamps I have that I could use for this. This is my second time attempting this technique and I really had a lot more fun with it this time around. I used a stamp set this is so far from Christmas you wouldn’t believe. I use the stamp that says “Enjoy the Journey”. That circle image would be perfect for an ornament. To achieve this affect, I just inked the circle and not the sentiment. 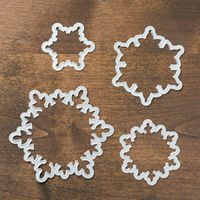 I did that three times to create the three ornaments. I used my Copic markers and colored them in. I love purple and green for Christmas colors. So what do you think? I think you should try this technique for a chance to win a great prize. We are delighted to be sponsored this month by The Artistic Stamper. 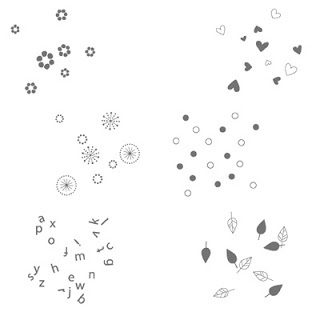 The prize this month is this set of stamps. I love these border stamps!! So, a fab set of stamps, publication AND a guest DT slot? What are you waiting for?! Please join us this month. Hello everyone!! 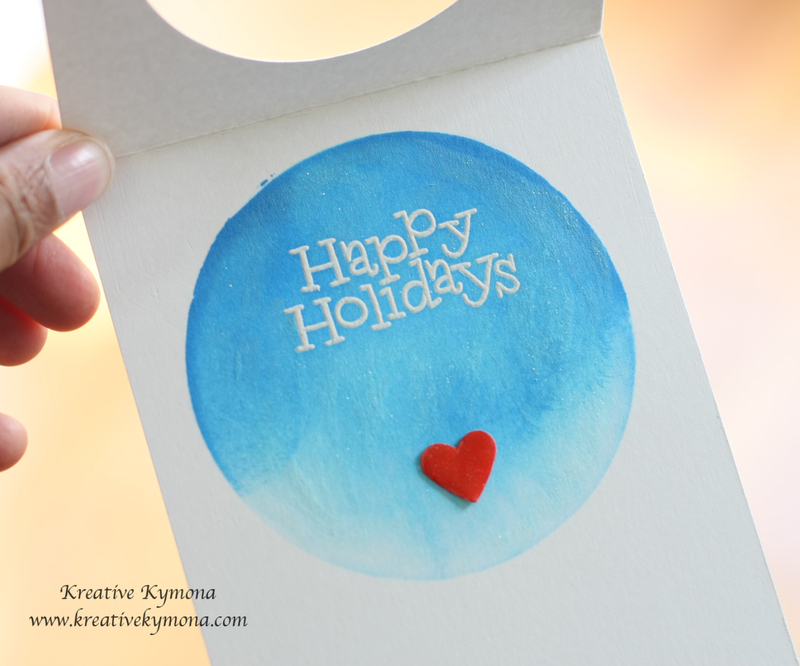 I’m here with my homework from Day 4 from my Online Card Class Holiday Card Workshop. I’m so happy I’m able to complete some of my homework. There are times when I don’t get to finish all my assignments, so to be able to get them done this time around is great for me. Day 4 lessons focused on One-Layer Cards. 1. 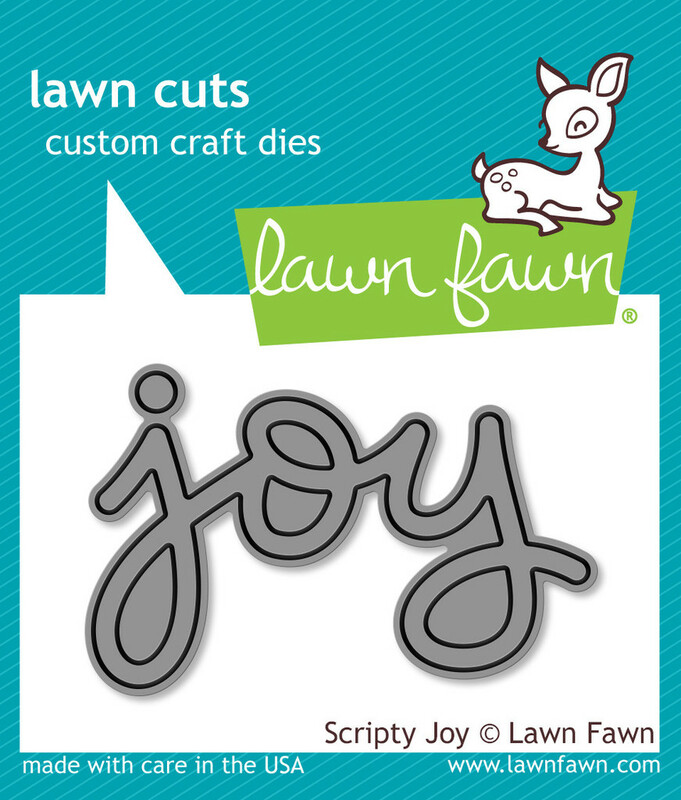 Jennifer taught us a double partial die cutting trick. I really love this technique and will be using it on more of my cards. Yes, this card has two separate die cuts. Can you believe that? I know, neat isn’t it. I heat embossed my sentiment, cut a circle stencil and inked my circle with distress inks. I add clear wink of stella to the circle. I colored a piece of white cardstock with the same Copic marker I used on the snowman’s buttons. I punch a heart and adhered it to the circle. Isn’t this Santa just the cutest you’ve seen. I really like my coloring of this Santa. I’m not to fond of the background but it will do. In fact the snowman should have this background and the Santa should have the other background. I think I put to much glitter on this circle. What do you think? 2. Julie taught us how to mask off an area and stamp in that area to create a silhouette. Julie used die cut of a deer with antlers, her cards look so much better. I have to give this technique another try. 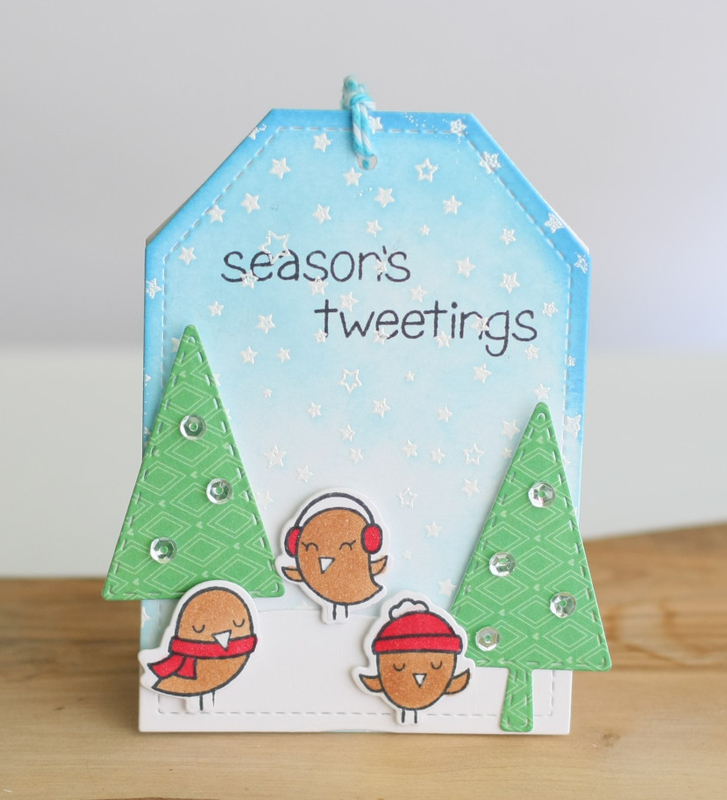 Julie created another card that I will try to do tomorrow. I also have to work on the card Laura taught us. I will be back tomorrow with those cards. Stay tuned!! Hello everyone!! I’m here today to post my homework from my new Online Card Class!! The new class is Holiday Card Workshop!! I’m so excited about this class. So, I’m starting with day 5 because I haven’t had a chance to start any of my cards until yesterday which happen to be DAY 5!! 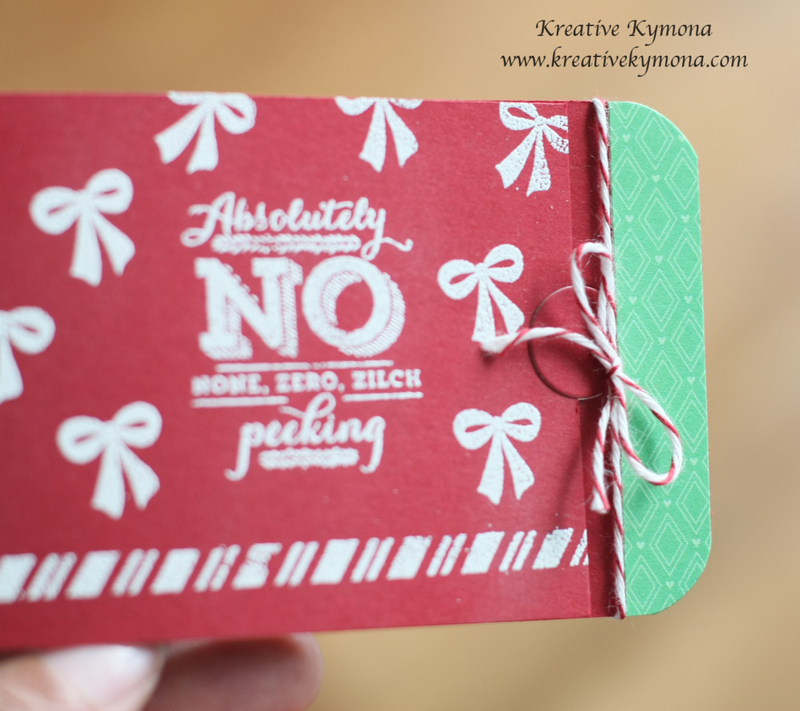 Day 5 just happen to be Gift Tags!! 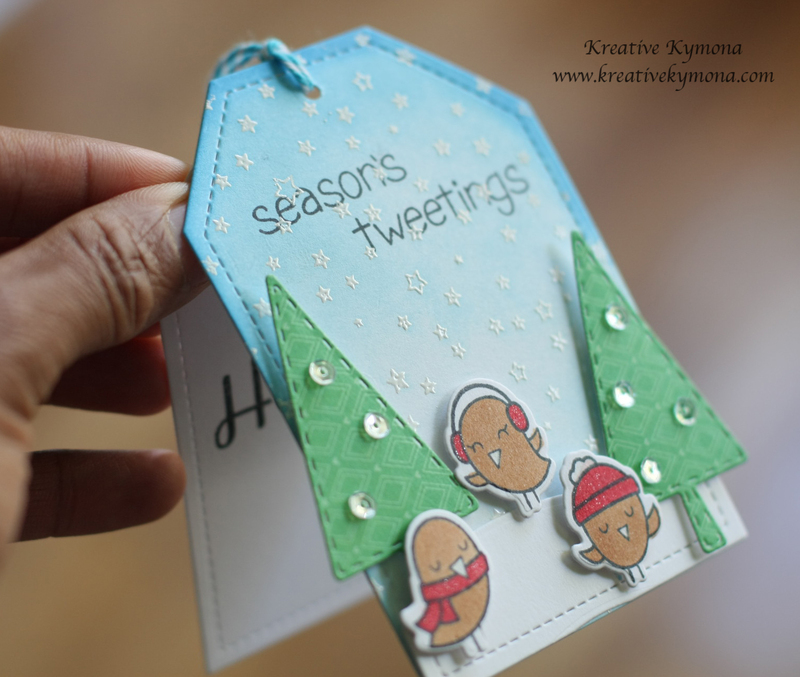 Gift tags are so much fun and nothing gives a wrapped gift a finishing touch like a gift tag. All of the lessons taught today were simple amazing. I truly learned a lot and will share my creations with you. 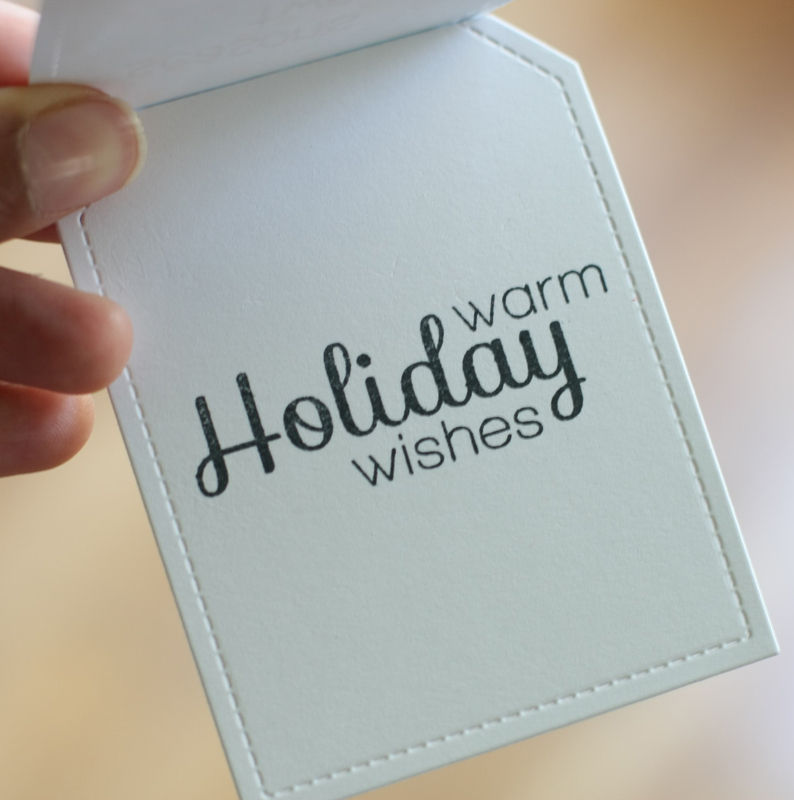 Isn’t this gift card holder tag the cutest!! I didn’t punch a hole in the tag yet because I’m not sure how I want to use it. Take a look at that closure! Kristina taught us how to create that. I thought that was the amazing part of this gift card tag. I didn’t add a gift card inside yet, because I’m not sure who I’m going to give this tag too. Now on to the next tag! I’m so proud of my tag! This is the first time I built a sense using my stamps and dies. I’ve always been afraid to try for fear of messing up, but I really enjoyed creating this. Here is the inside of my tag, that now can be a card!! Love it!! This is what the tag looks like on the side! Now on to my favorite of the three!! 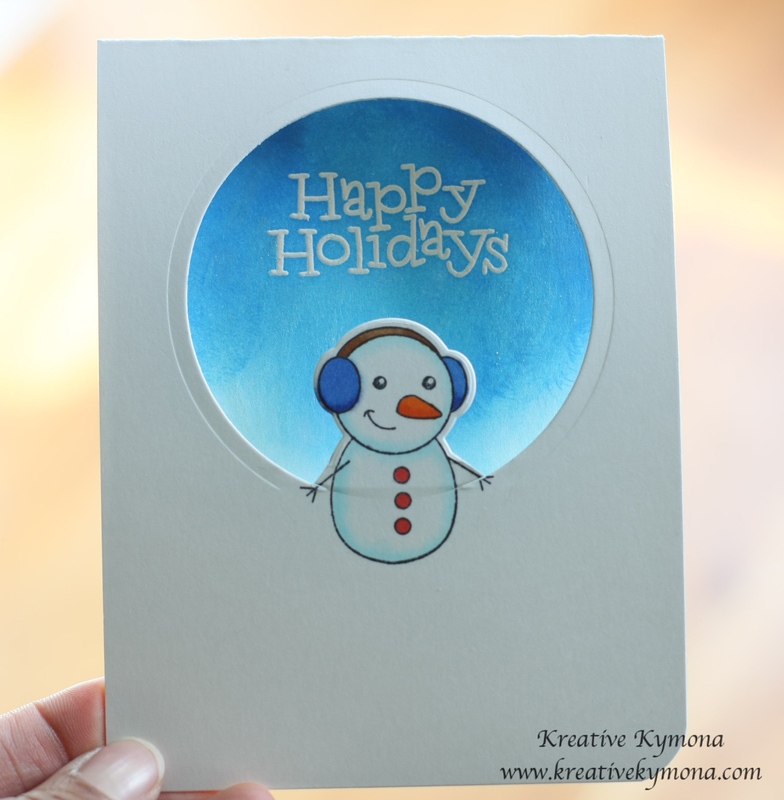 Yana taught us how to create three different window cards from: easy, medium, hard! This was an easy window tag to reproduce. I love how pretty it looks just as it is. This tag is a step up from the first tag. All I did was add foam tape and some pattern paper. How cute are these tags!! I love the chalkboard look!! Do you? How cute is this!!!!!!! I love this lesson. My mind is 100 miles per hour on what I can create next, using these ideas. Yes, that is thread on my card. Can you believe you that? Yes, I used my little sewing machine with the help of my daughter and stitched that window sheet on my card. Yayyyy!!! I love this set! I can’t wait to make more. I might use this set as a giveaway!! I love it and want to share it! I can’t wait to share the rest of the days with you. This is my first time attempting this technique and I really enjoyed it. 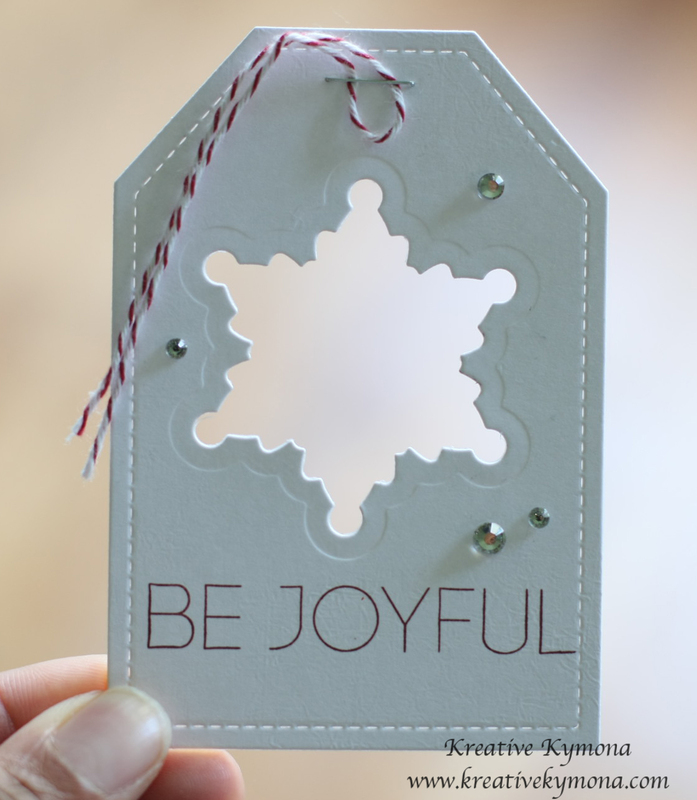 What was even cooler, I’m currently taking the new Holiday Card Workshop Online Card Class and Jennifer McGuire showed us how to create a card using different stamps that really wasn’t their intended purpose. 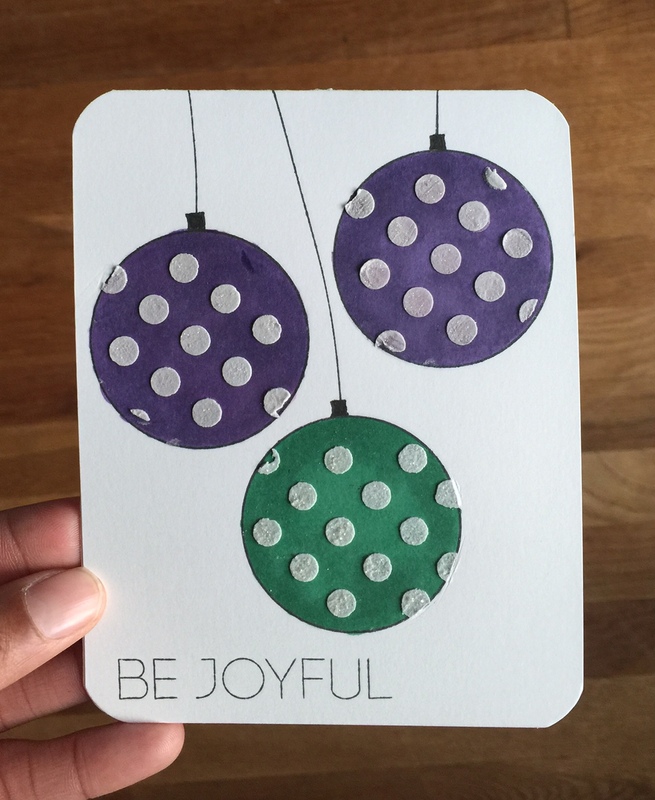 For this technique, you use a stamp that is NOT a Christmas image and use it to make an image that IS Christmas themed. 1. I used Simon Says Stamp Love This circle stamp to create my card. 2. 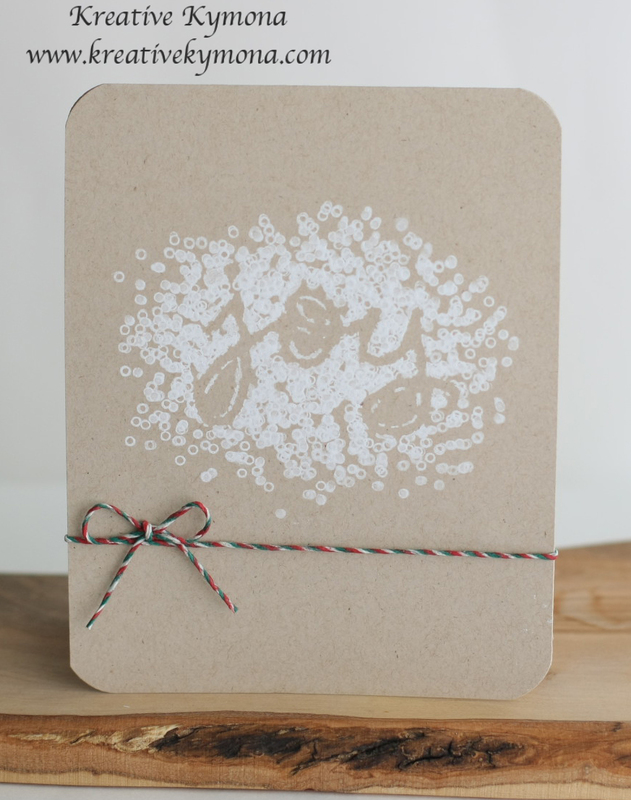 I randomly stamped the solid circle using Stampin’ Up! Cherry Cobbler and retired Gumball Green Ink. 3. For the empty space, I used Papertrey Ink’s Building Blocks star and heart to fill the space in, using the same ink colors. 4. I stamped the star from Simon Says Stamp Lunch Box Notes with Versamark Ink and embossed it using Ranger Silver embossing powder. 5. 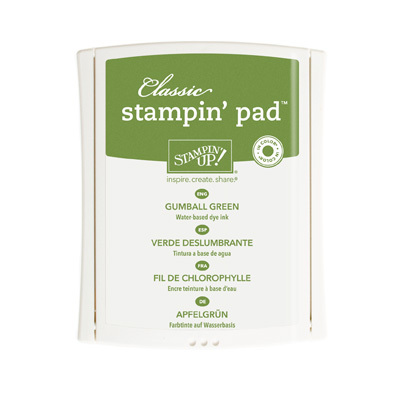 I drew the stump free hand and used my Stampin’ Up! Early Espresso Marker. 6. 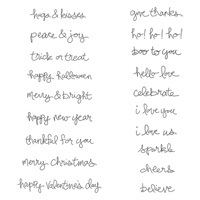 I stamped the sentiment using Stampin’ Up! Good Greetings Stamp set that was given to me as a gift. 7. 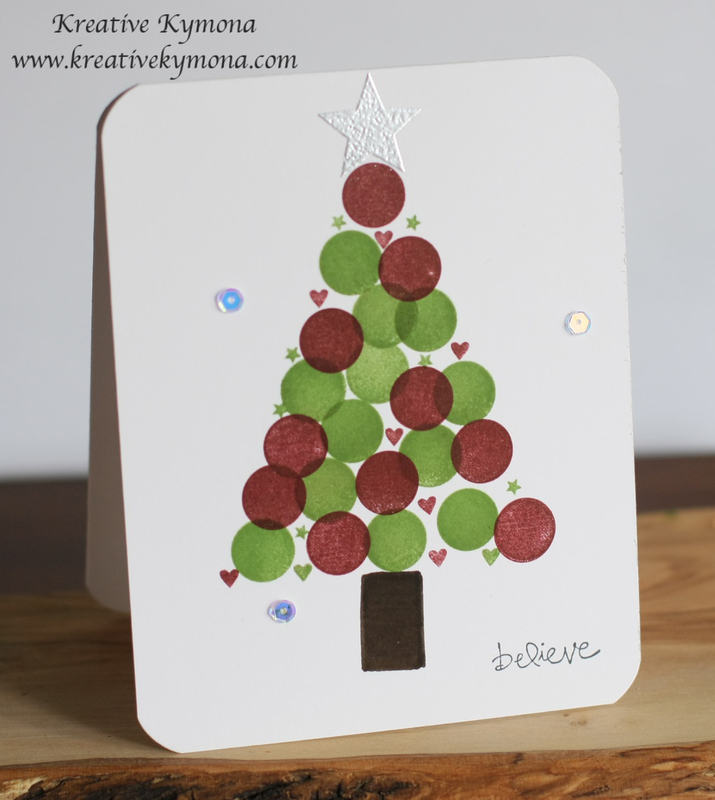 I added some sequin from my Simon Says Stamp November Kit. That’s all it took. I love how it came out. 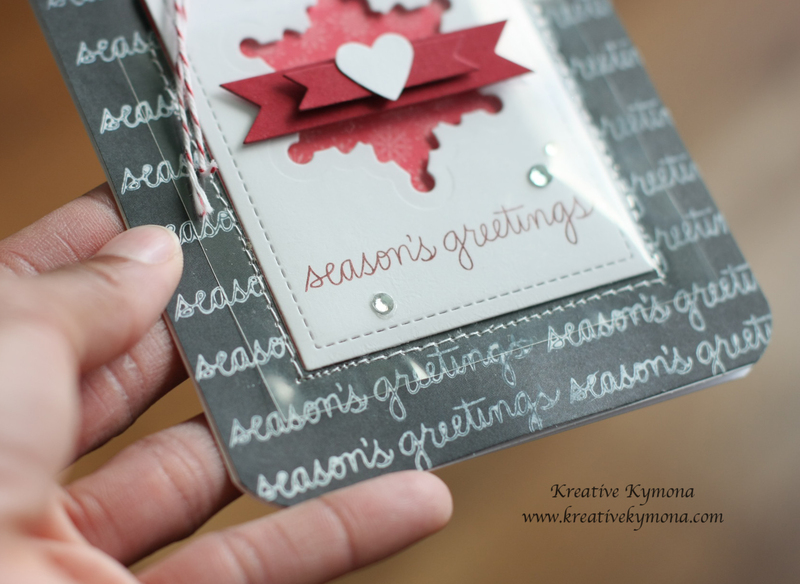 Before I go, I want to enter this card into the card gallery for my Holiday Card Workshop Online Card Class. My first homework! Yeah! !